AIM-4300-NPS - Antenna Analyzer, 5 kHz to 300 MHz. 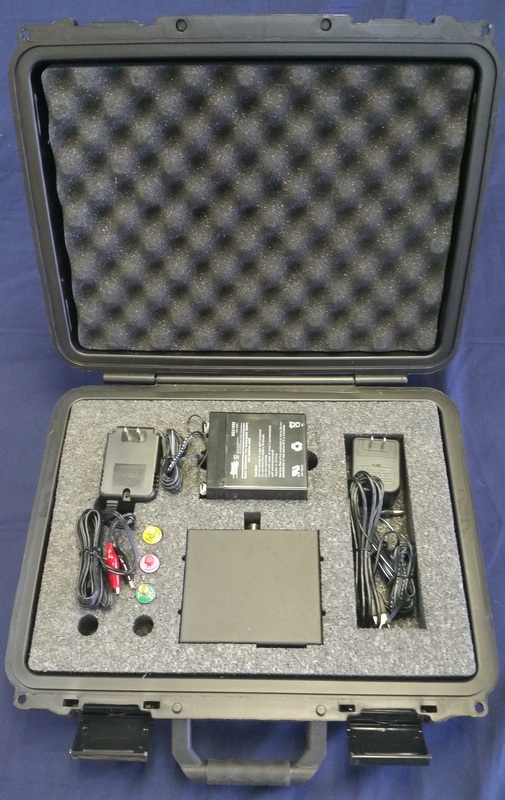 Includes calibration load set, USB A/Mini B cable and DC power cord. N-type available CLICK HERE to order. It measures the complex impedance (magnitude and phase) at each frequency of interest in the range of 5 kHz to 300 MHz. 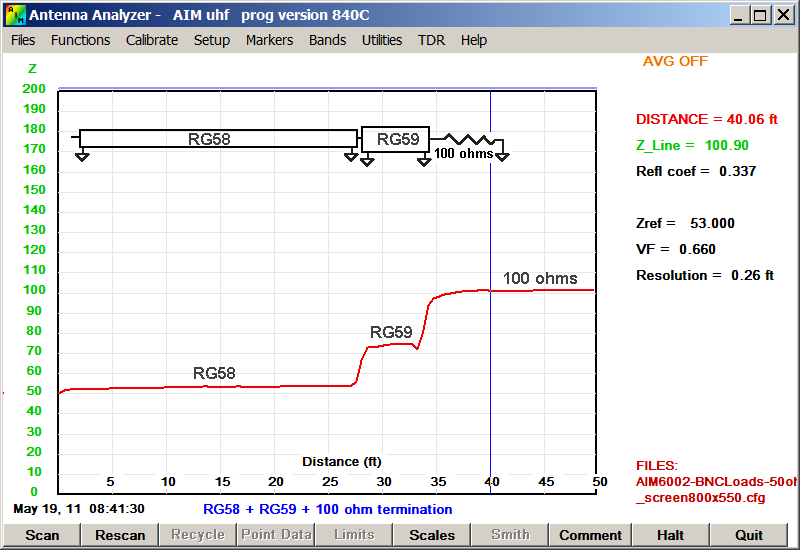 A PC is used to calculate all RF parameters, including R +/-jX, Magnitude and Phase, SWR, Return Loss, TL loss, and more and plot the results in an easy to read graph and interactive Smith Chart. Impedance measurements can range up to 10.000 ohms. The true phase angle is measured, so inductive or capacitive reactance can be determined without ambiguity. 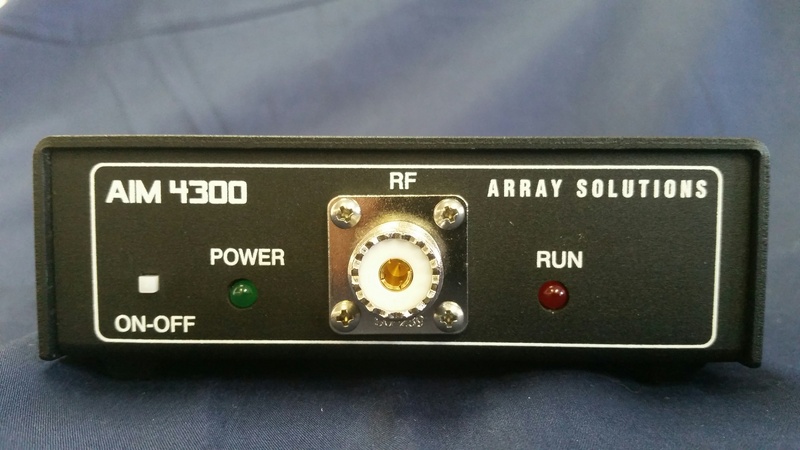 The RF generator can also be used as a signal source for testing receivers. The frequency is very stable and it can be calibrated with the WWVsignal. 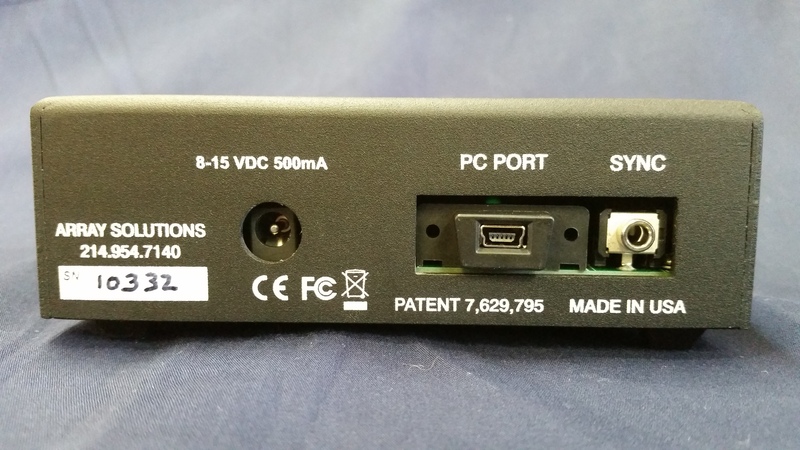 The digitized data is sent to the PC via the USB port. Power for the analyzer can be obtained from a small DC power supply or a battery. 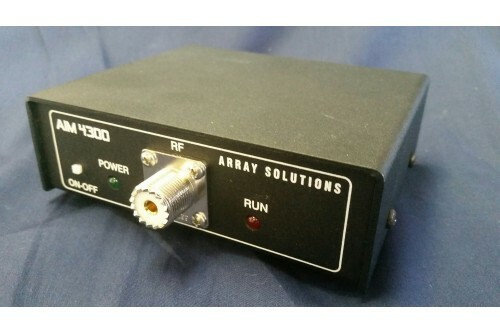 With a laptop computer, the unit is quite portable and it can even be mounted up on a tower at the antenna feed point if desired, with power being supplied through the RS-232 cable. The impedance at the antenna itself can be read with the AIM 4300 located in the shack at the receiving/transmitting end of the coax. The cable can be any length. The cable's impedance and loss characteristics are determined by a simple calibration procedure and the antenna's impedance is plotted directly during the scan. To download the free software, click here. You can install it on your Windows PC or tablet and play with it in DEMO mode if you don't have the instrument yet. Resultant Plot of the TDR (Time Domain Reflectometer) function. The AIM-4300 can be used with a Windows tablet. 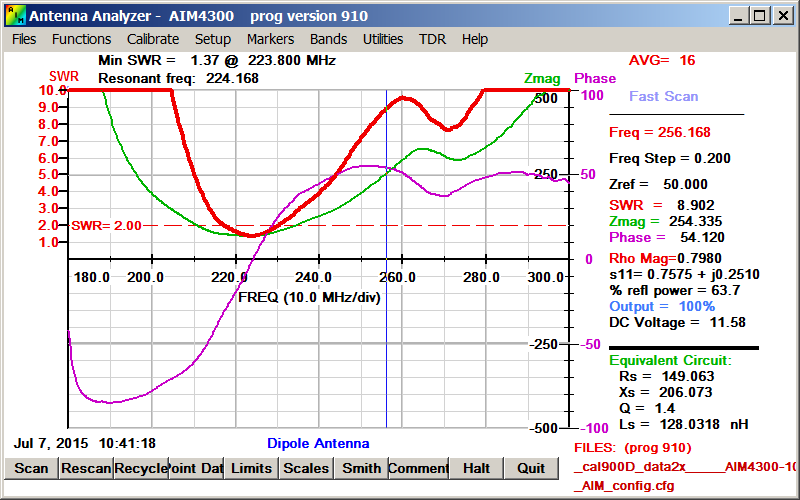 Plot of a 225 MHz dipole antenna. 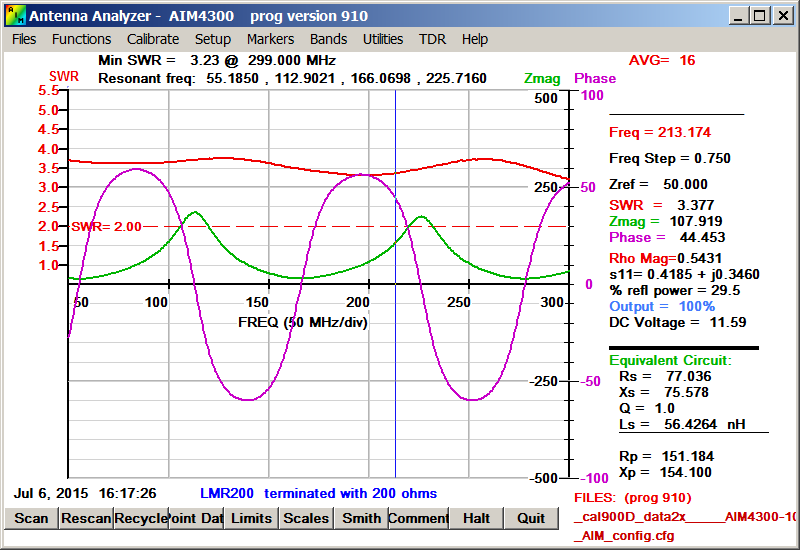 Plot of an LMR 400 coaxial cable terminated with a 200 ohm load. 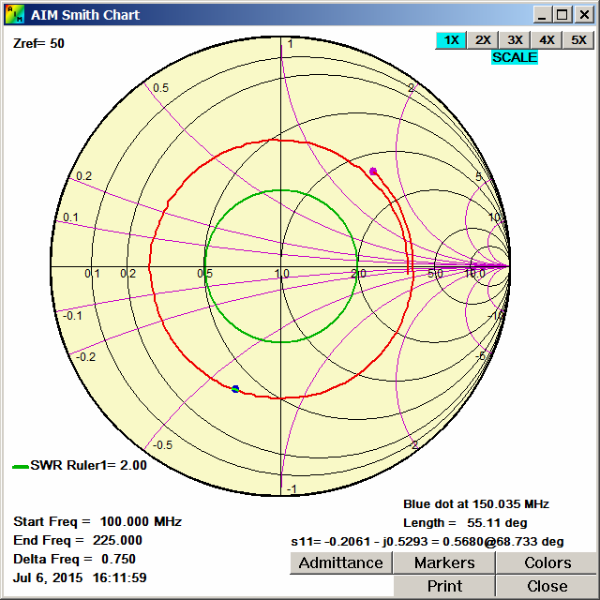 Example of a Smith Chart plot format. Thanks for shipping my AIM 4300 promptly. I wanted to share my experiences. I just now found time to get the unit out and set it up. I downloaded the software from W5BIG and unzipped it onto my hard drive. I powered up the unit, connected it, launched the software, and ran the calibration procedure. I was expecting a huge learning curve, but to my absolute delight, all of the setup and calibration went flawlessly. Then I scanned a new 6-meter antenna containing a coax matching stub, and it worked great! From opening the box to my first scan took about 15 minutes!! I am happy with the 4300, and look forward to learning way more than I ever have about antennas and transmission lines. 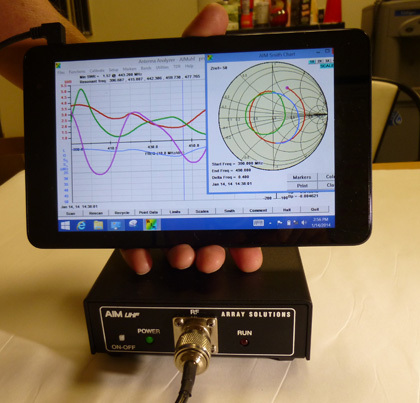 Don't know why I waited so long to purchase an antenna analyzer. By the way, this is the first one I've ever purchased. I'm not in the habit of writing e-mails like this, just wanted to let you guys know this is the best few hundred dollars I've ever spent in 40-something years in ham radio!! PS-9 - 9V DC Replacement Power Supply for AIM UHF - 6ft cord with proper plug - for USA - 120v/60Hz ..